As I was deliberating the topic of my weekly article, a new CSSM newsreader thread arrived today to immediately conclude the debate: The CSSM poster asked how Matlab labels can be modified to display non-ASCII characters such as the ∀ or β math symbols. As you may recall, unlike axes text labels that support Tex/Latex, and unlike other uicontrols like buttons or listboxes that support HTML, text labels (uicontrol(‘Style’,’text’,…)) do not support text formatting or special symbols. Note that the standard Matlab text uicontrol itself is very limited in the amount of customization it supports, even when accessing its underlying Java object using the FindJObj utility. This underlying Java object is a com.mathworks.hg.peer.utils.MultilineLabel extension of Swing’s bland javax.swing.JComponent. In fact, aside from some font and color customizations (also available via the Matlab HG properties), the most useful properties that are accessible only via the Java object are few. These include Border, HorizontalAlignment, VerticalAlignment and LineWrap. This is a very short list compared to the long list of corresponding undocumented properties in the other uicontrols. So black = 0, and white is 256^2*255 + 256*255 + 255. You can cobble together highlighted sentences using this technique by aligning multiple JLabel objects in the figure. @Nick – JLabel’s Background and Foreground properties, and their corresponding getXYZ(),setXYZ() accessor methods, are common to all Java Swing components, together with several other basic properties (and their accessor methods). 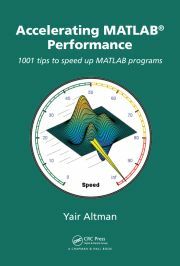 I have little or no expereience with Java, but lots with MATLAB in general. When generating analysis reports, it’s common for me to have a text box or annotation box on a plot in a figure window. I would like to insert a hyperlink in the text box (the link would lead to the the test plan responsible for generating the data in the plot). When the figure with the plot and annotation is generated, it is typically printed to a PDF so that those who might be reading the report only need adobe and not a license of MATLAB. 2) … such that when it is printed (or saved) to PDF, the link is still a valid hyperlink in the PDF? @Jerry – You can link text items to Matlab callbacks in the normal manner, by setting the handle’s callbacks (e.g., ButtonDownFcn). However, this does not get propagated to PDF output. When i put this code into my m-file and i run my GUI, the only inscription which I can see is “bold”, where I made a mistake ? Because author forgot the closing </i> tag, obviously. @Alex – closing tags are not necessary in HTML labels used in Matlab (or Java Swing in general). The reason that @Maciek doesn’t see the red “label” word is because his component is simply too narrow. When the container is too narrow, HTML simply truncates the extra text. If you increase the component width from 40 pixels to 100 pixels, you will see the entire text nicely. My question is probably stupid, but where I should actually place the code, mentioned in article? The GUI.m file has several different functions and I’m not sure what all of them do (except callbacks), because of my small experience with matlab gui (started today). @Alex – this blog handles advanced topics that are quite often beyond the basics. You obviously need to learn the basics first. You can start here or here. Okay, thanks for the advice, Yair.